Sydney's Martin Place office precinct has turned a corner, with the area's potential stock of vacant space having fallen by circa 70% according to a new CBRE market analysis. CBRE Director, Office Services, Chris Fisher said the exit of the Commonwealth Bank, ANZ, Westpac and law firm Freehills had sparked headlines of "Martin Space" at the beginning of 2014 and predictions of the area's demise as one of the city's most sought after office precincts. This was compounded by the prospect of upcoming vacancies in No.1 Martin Place and the MLC Centre in addition to new developments at 20 Martin Place and 5 Martin Place. However, fast forward to mid-2015 and a series of lease commitments has shifted the balance - with CBRE's review highlighting that approximately 100,000sqm of potential vacancy has been reduced to around 30,000sqm. 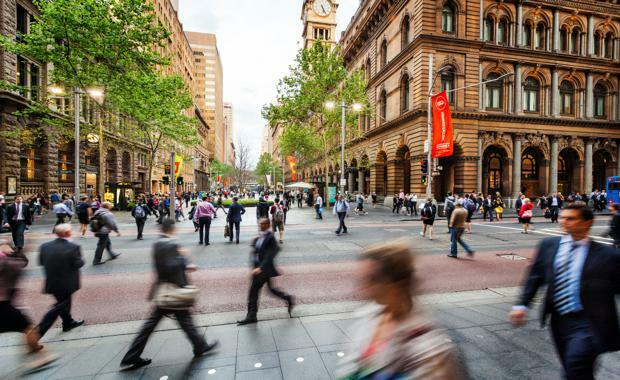 "Despite early concerns, what Martin Place has provided is opportunity," Mr Fisher said. "The major banks have been replaced by a diverse range of industry sectors ranging from banking and legal to architects and IT firms, with strong interest in the remaining 30,000sqm of available Martin Place office stock. "Mr Fisher cited No.1 Martin Place as a prime example of the shifting tenancy profile of Martin Place, with the building having attracted commitments from APRA, Charter Hall, DLA Piper, LinkedIn and Macquarie Bank. This had reduced a possible 30,000sqm vacancy in 2014 to one of just 4,892sqm currently, made up of three office floors. The MLC Centre has been a strong performer, with a potential vacancy of 30,000sqm cut to approximately 8,000sqm with only five whole floors available for lease. "Tech companies in particular have embraced the Martin Place precinct, as highlighted by commitments from Atlassian, LinkedIn and Apple," Mr Fisher said, adding that the take up augers well for the new developments at 20 Martin Place and 5 Martin Place, which were coming on line this year. "Commitments from Challenger and Ashurst have anchored 5 Martin Place, with over 75% committed prior to practical completion. The speculatively developed 20 Martin Place has secured Apple and is attracting strong interest, with over 50% committed prior to practical completion. "Mr Fisher said the activity provided added confidence for new projects, with the proposed development at 60 Martin Place gaining momentum.